Leading Service Provider of blood bank calibration services and nibp monitor calibration services from Faridabad. Blood Bank nowadays is the most precise division of every healthcare industries. Human body day by day goes to precise. Blood quality, segregation, group, and storage & quantity is most important. So blood bank is maintaining all the parameter using so many equipment like Centrifuge, Refrigerator, Pipet, Microscope, VDRL Sheker, Balance, Auto Clave etc. NIBP Monitor Calibration Services, nowadays a very common used instrument in healthcare facilities as well as personal use. Today life is so hectic and people are ever stressed so abnormalities in blood pressure in the human body are so natural. 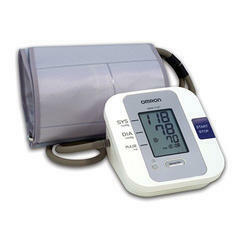 People are using BP Apparatus to measure their systolic & diastolic pressure of the body. If it is not calibrated properly, it may deliver the wrong result, which may cause wrong treatment and affect the patient. Looking for “Blood Bank Equipment Calibration Services”?